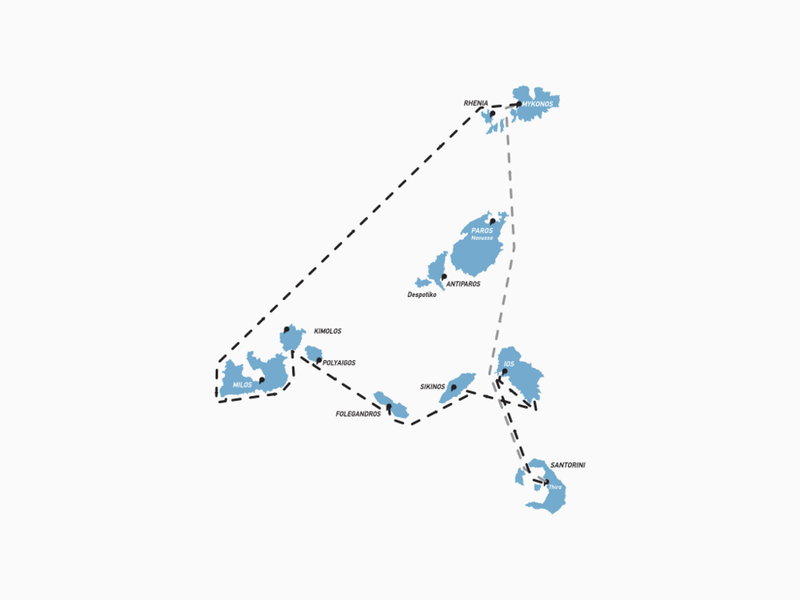 Departure: Embarkation: 10.00 am, Mykonos Tourlos port or Ornos bay. Destination: Milos has also become famous for the astonishing lunar landscape, the exotic water of the beaches and the picturesque architecture of villages. 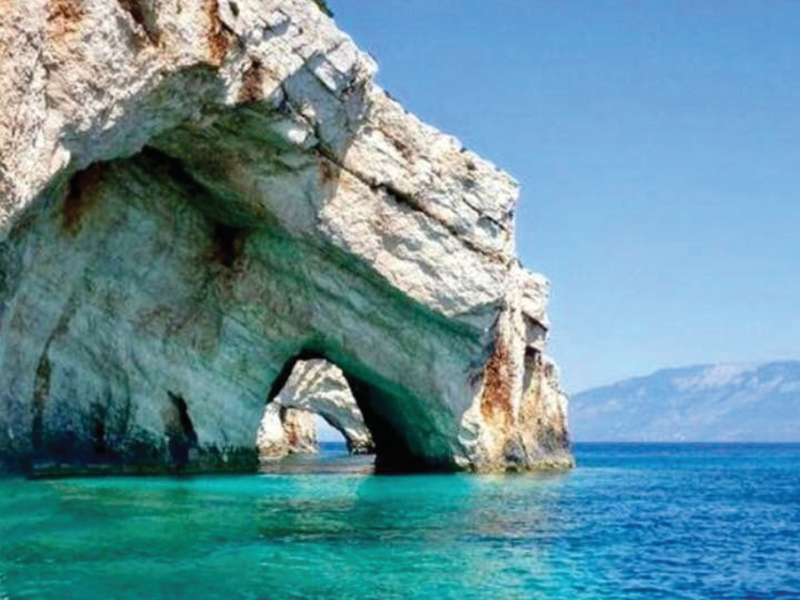 Kleftiko, also known as the Sea Meteora, an amazing region on the southern side with exotic water to explore! 1st night: Cruise to Kimolos island - Psathi port. As Kimolos is a small island, is not a popular tourist destination, most Kimolos beaches distinguish for their relaxing ambience. beauty, she remains away from mass tourism, and has kept her authentic character. Explore her unique and mesmerising winding labyrinth of her village alleys. Ios island - Visit of “Chora” capital of Ios Island. Destination: Santorini island (Amoudi bay). 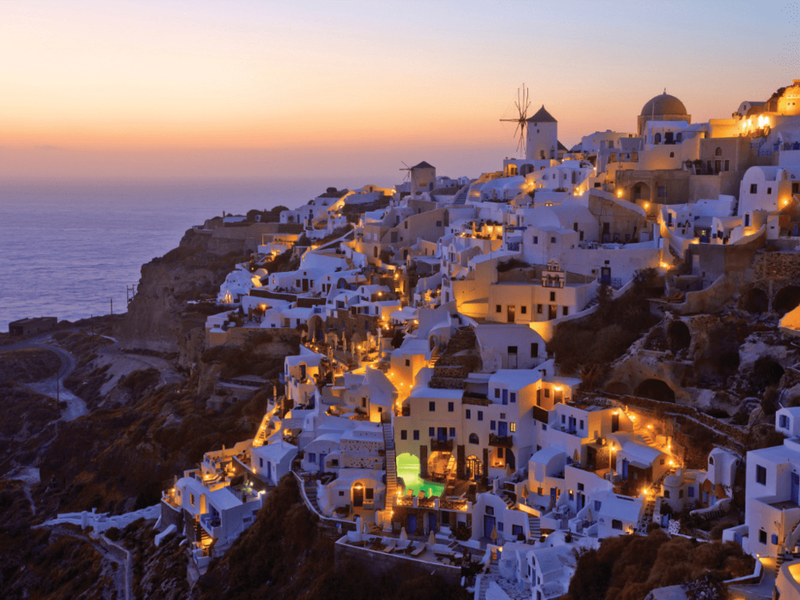 Santorini is amongst the most romantic destinations in the Greek islands. Santorini island was the site of one of the largest volcanic eruptions and what remains today is a submerged volcano and a caldera. Amazing villages has been constructed on the edge of this caldera, with Cycladic architecture and breathtaking view to the sea.